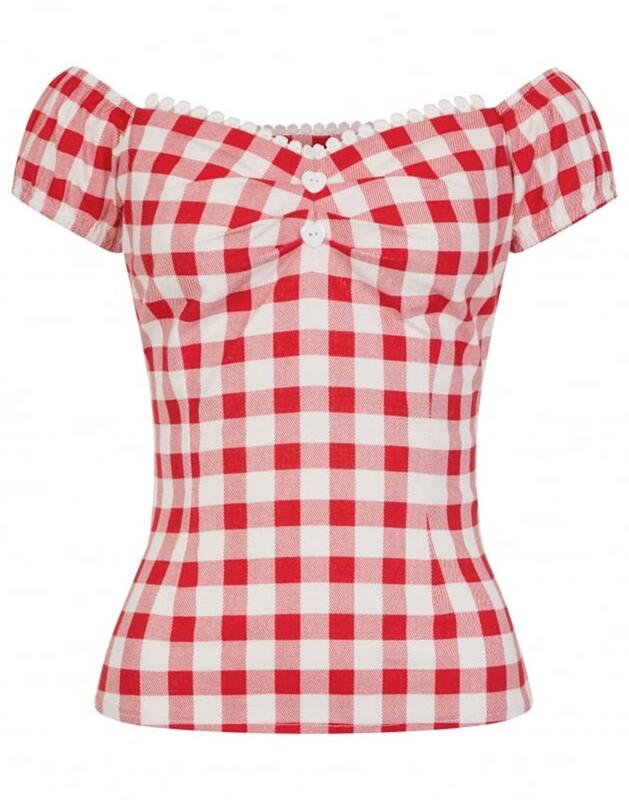 Dolores Vintage gingham top in red and white check by Collectif. An absolutely darling top, gingham Dolores features a beautiful pinup style sweetheart neckline complete with delicate floral lace, two cute heart buttons and adorable gypsy sleeves that can be worn either up or down to change up your look. 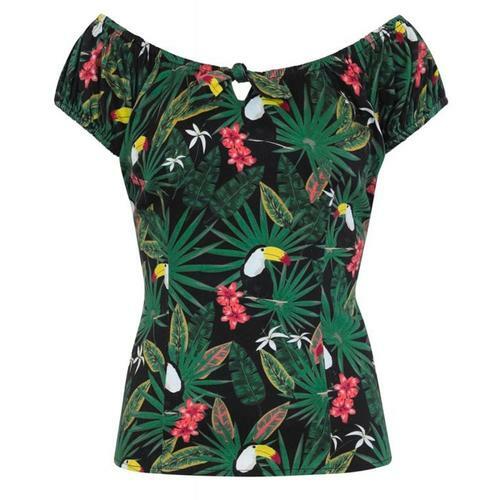 This vintage Collectif top is a perfect classic pinup addition to your wardrobe and can either be worn casually with a pair of jeans or tucked into a beautiful skirt for summer dates. 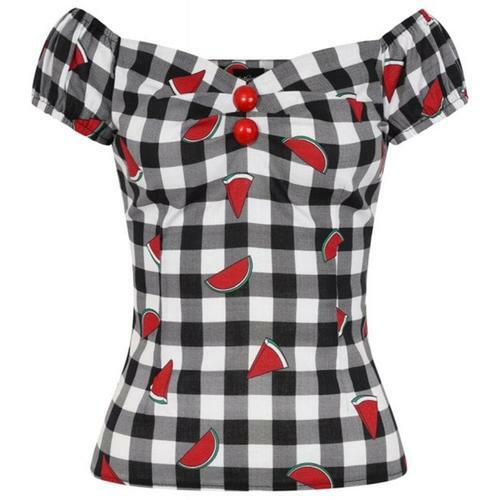 - Collectif Dolores gingham top in red and white check. - Sweetheart neckline with delicate floral lace. - Two cute heart buttons on the front. - Subtle pleating at the bust. 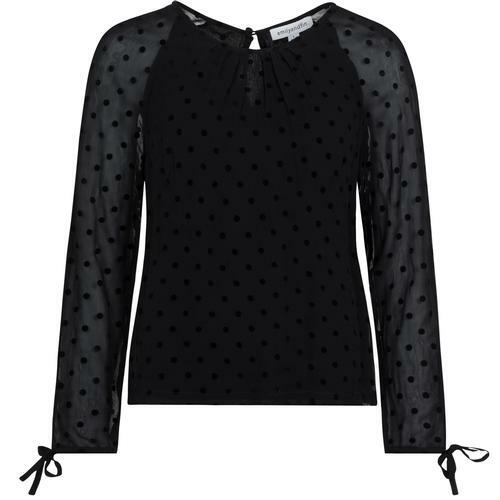 - Hidden side zip closure for a flattering fit. - Can be worn casually or dressed up for dates and dancing. - Approximate total length (size 10): 17 1/2 inches / 44.5 cm, from highest shoulder-neck point to hem.